A series of earthquakes hit at and near the settlement of Porangahau in Hawkes Bay on Friday night through to late yesterday. The quakes at or within 5 kilometres of Porangahau were recorded from about 5.3 pm on Friday which was described as a “moderate” quake of magnitude 4.1 at a depth of 16 kilometres, followed soon after by a “weak” quake and then an hour later a “strong” quake of M 4.9 at a depth of 17 km. The New Zealand Herald reported that Hawkes Bay's residents were left shaken after a strong 4.9 earthquake rolled through the province on Friday night. 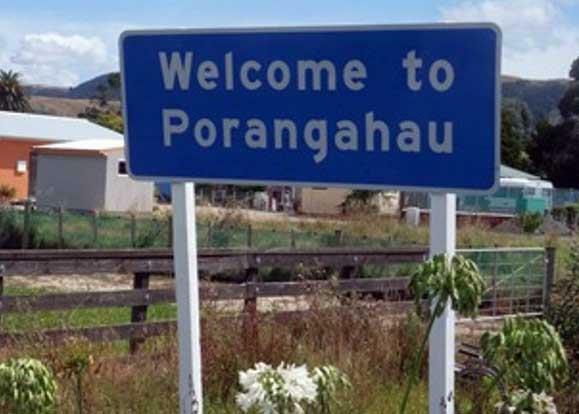 Buildings were reportedly left shaking and lights swinging by the quake, centred south-east of Porangahau. Porangahau is on the east coast of the North Island, east of Dannevirke. The Herald said more than 1.000 people by early Saturday responded to Geonet stating what the earthquake felt like. Most said it felt weak. Seven considered it was strong, and three, extreme. The strong earthquake was felt from Napier to Waipukurau. On April 12, 2011 the Herald reported a M 5.1 quake hit Porangahau the day before but caused little damage.